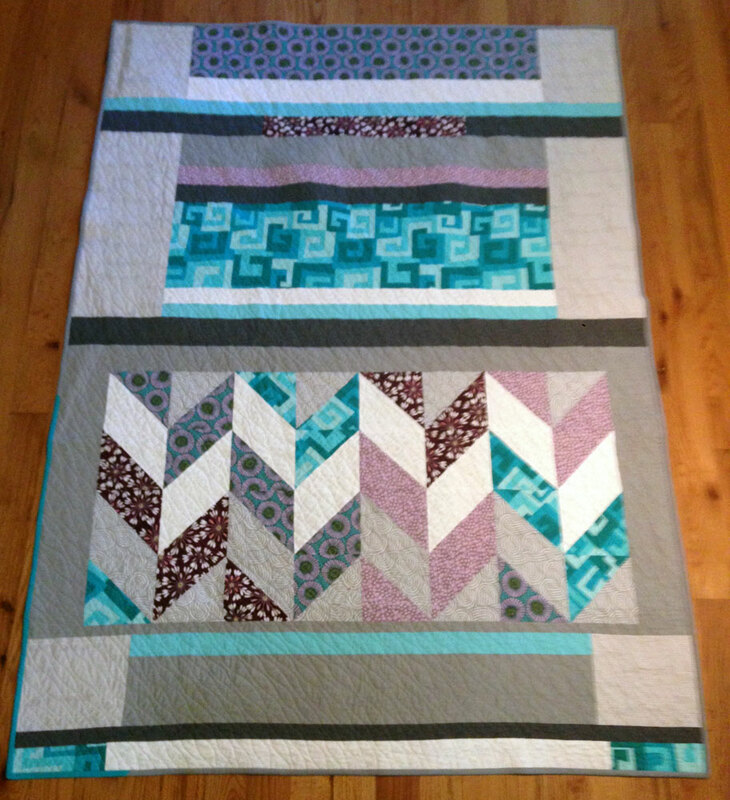 I started this quilt last year, and have added bits and pieces over time and every time I pull it out to work on it, I became frustrated by my placement choices and would put it away again for a while. I tried working on it a bit every month, but would get irritated by looking at it. Have you ever made a quilt like that? Last month I decided to just get it done already!! I put it in my mind that it didn’t matter how it looks, I’ll just use it as a couch quilt anyway. 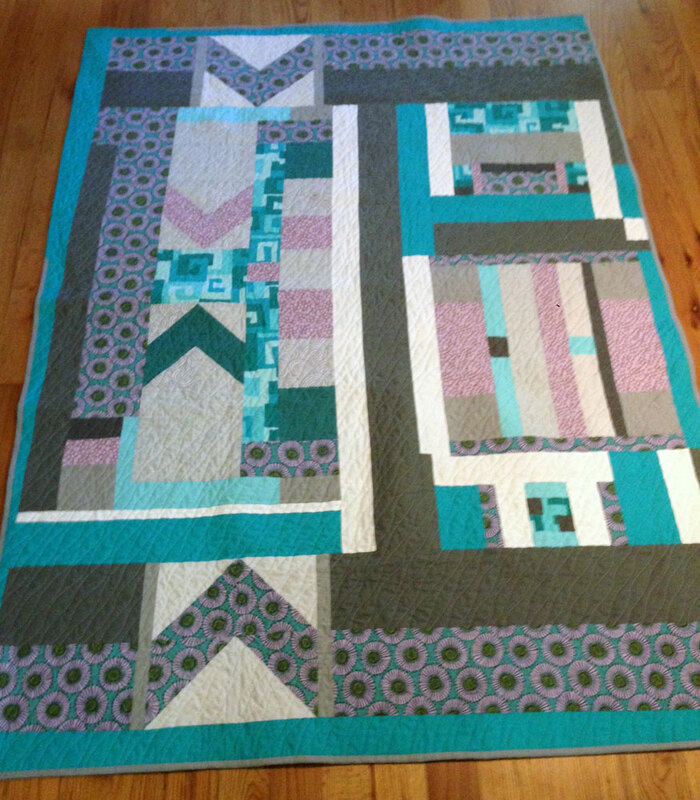 So I finished the front and used my questionable pieces for the back making a 2-sided quilt, and was very unhappy about it until I started quilting it. 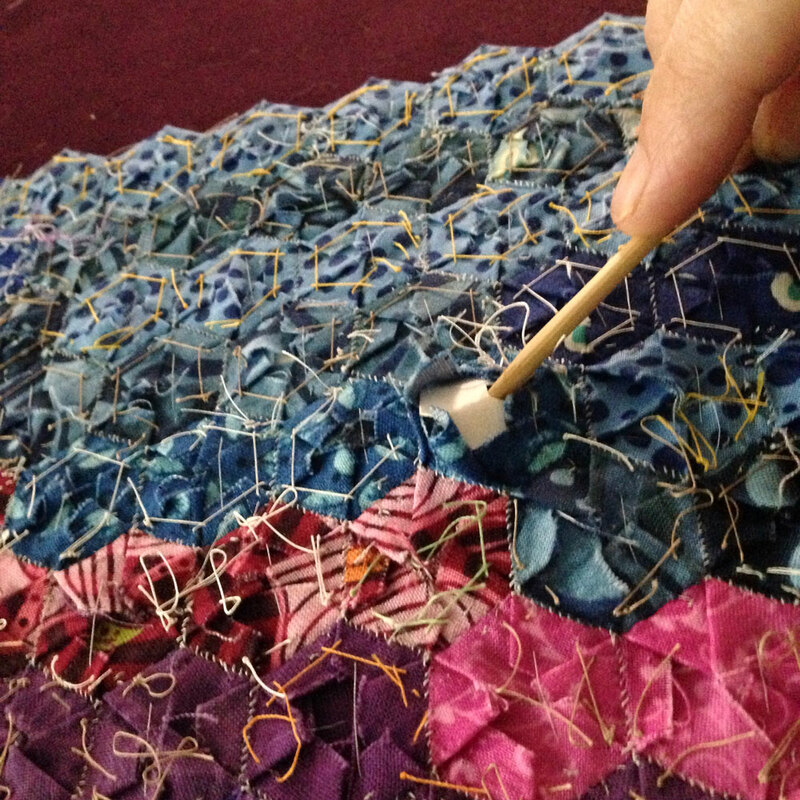 For some reason, quilting this piece, connected me to it and I started to appreciate the work… and once I was finished, I felt it was good enough for show and tell. At our picnic, I received some really nice feedback and now I’m liking it even more 😉 I’m definitely my own worst critic! I’ve finished piecing the bird itself, and took out all the papers and appliquéd it onto a backing fabric – I’m in the process of quilting right now, but I wanted to show how I take the papers out of the piece before appliqué. First I need two important tools: a seam ripper and a wooden BBQ skewer. 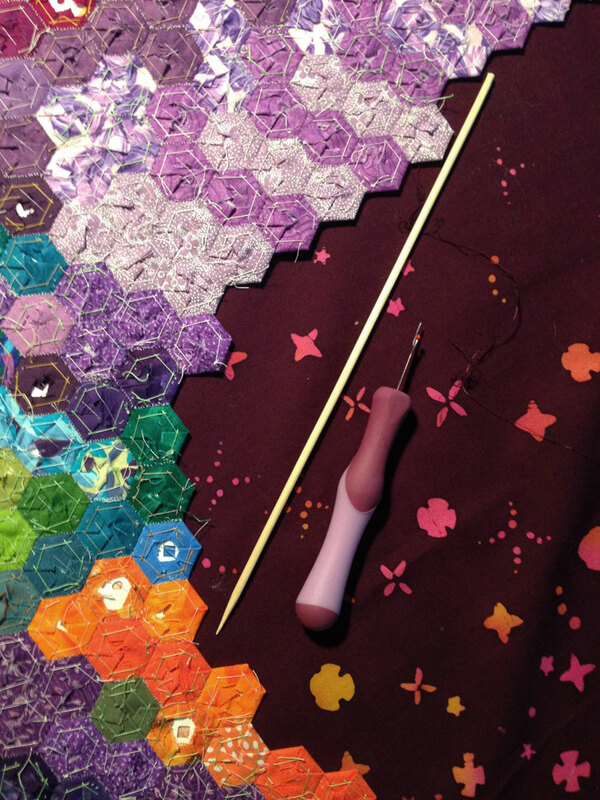 Before I basted the hexies, I punched holes in them for this very purpose – my seam allowances are big and cover the back of my small hexies… so it’s very important for easy paper removal. Once they were all removed, I pressed it well. 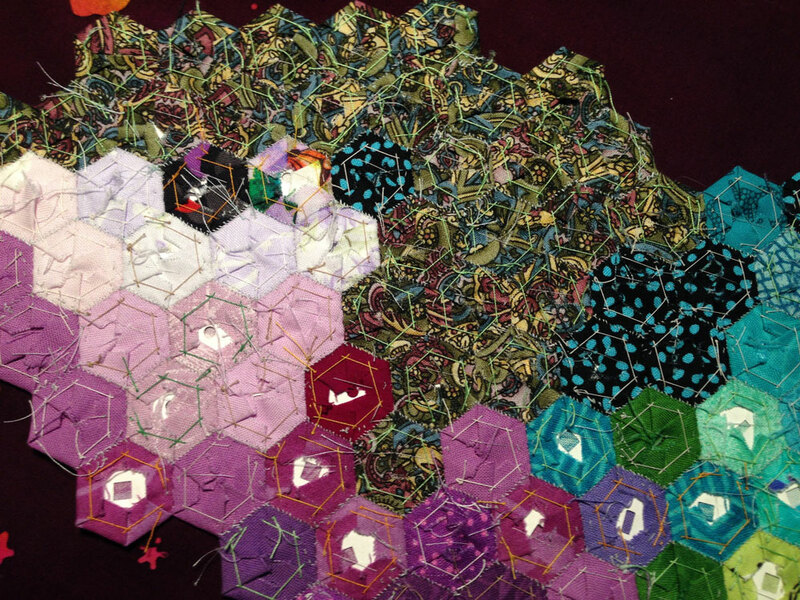 At this point, I’m quilting this piece, and hoping to have it ready for our next guild meeting!